Can I buy photographs from The Blackpool Tower Dungeon? Can I visit the Blackpool Tower Dungeon gift shop without purchasing a ticket? 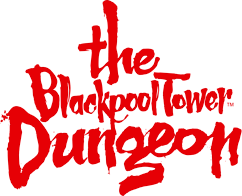 Do you have a Tavern at the Blackpool Tower Dungeon?